A 2016 UNESCO report named Education for People and Planet – Creating Sustainable Futures for All has stated that education can play a major role in bringing all changes and transformation that are required to make societies more environmentally sustainable. Governments, private sectors, and civil society can take initiatives in this matter. Well, what we could figure out form this particular extract from the UNESCO Report is a revelation of the fact that education is certainly important if we are to talk about making people more aware of all possible consequences of the harm that we cause to our planet earth, both intentionally and accidentally. But, the question is, if education is the only tool that is sufficient for a country or the planet to prevent itself from destruction and every other possible threat? This is the reason the UNESCO Report has also talked about the role of the government, civil society and private sectors in collaboration with educators and academic institutes across the globe. According to me, environment education can definitely preserve and protect our planet for a better and more sustainable tomorrow, if only we consider being responsible and sincere in adopting certain methodologies. Wish to know the same? Here’s everything you need to read. Environment education can save our planet. What I feel is that the purpose of environment education should not only be restricted to those few pages in the book. It could rather be made more interactive, demonstrative and engaging, so that the learners could get a hang of it in a more effective way. For example, according to an infographic posted in the globalpartnership.org, it has been mentioned that in case of education progress is stalled, then there could be a 20% increase in disaster-related fatalities. And universalizing higher education by the year 2030 comes could actually prevent 200K disaster-related deaths in 20 years. Now, the idea is to make environment education more hard-hitting by presenting stats, facts, and predictions in order to raise all major concerns and help students understand better of what could possibly go wrong if they do not consider being responsible and educated in such matters. Presenting the problem and raising questions for the possible solutions to it can certainly make a huge difference by making the entire education methodology more rational in nature. Yes, environment education has the potential to save our planet, provided various educational institutions across the world are coming together to take such initiatives responsibly. Schools can create environment clubs and interactive forums dedicated to the protection of nature and the environment around us. Schools and colleges may consider installing recycling systems in cafeterias and around the campus. It would, as a result, help students use the required tool and resources that is needed in order to preserve and recycle things rather than wasting them unnecessarily. Even though the learners are already aware of the theoretical knowledge that might help them have a broader vision on how to recycle and reuse, providing them the right platform or the tools to practice the same might just prove to be more effective in the near future. This is yet another way how environment education can save our planet. The idea behind environment education is not only accumulating all theoretical knowledge and writing them down in the exam sheets for scoring top grades in the semesters. Interactive and engaging environment education can also teach empathy and help children know and realize the fact that all living creatures under the sun are equally important and should be treated with empathy and love. According to a WFF report, it has been found that the population of Vertebrate animals like Birds, Fish and Mammals have decreased by 58% between 1970 and 2012. And there has also been a huge drop in freshwater species as well. Now, if the educators take initiative to present such reports and then explain what could be done to save all species on the planet earth from extinctions and death, then this could help learners become much more empathic towards all living creatures with a developed sense of responsibility towards habitat, natural resources, wildlife populations, and the likes. That piece of old and unused T-Shirt you wish to throw away might just prove to be the most prized possession for a homeless kid. Saving our environment is not only being dutiful towards the nature, but also towards other human beings. Educators might consider holding a class on how to swap and help the downtrodden with things you don’t use anymore. Simply throwing away things that we don’t use anymore is a form of wastage, and it is equally harmful for our environment in terms of damages caused by waste materials thrown away or dumped irresponsibly. This, according to me, could possibly be a nice way environment education can save our planet from potential risk and damages in the future. The Ottawa Network for Education offers interactive programs on how to create classroom gardens for a better and more sustainable environment around us. Such initiatives taken by the educators and environment protectionists across the globe is always a great way to help students develop better knowledge on how to preserve the environment and save the Earth from all potential risks. If we are to talk about the importance of classroom gardens, then I would like you to recall the famous proverb “Charity begins at home”. 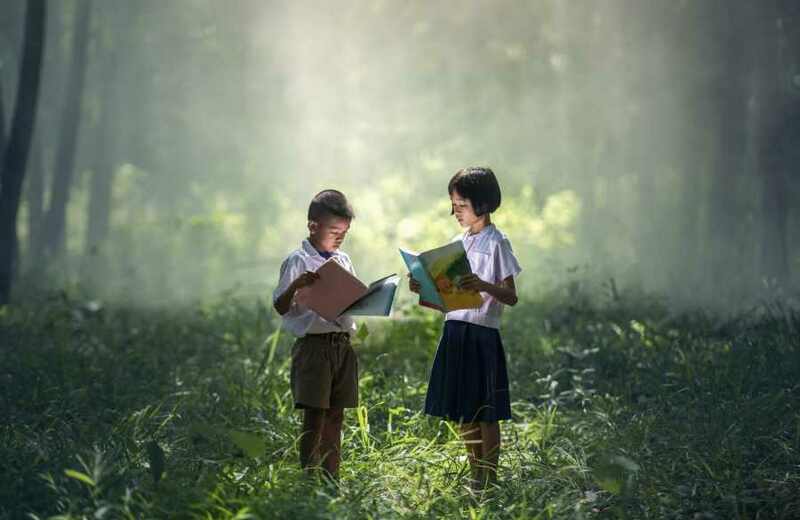 The right kind of environment education can teach children how to save plants, grow trees and help the environment around us with a much sustainable form of living. Since school is the primary platform of education for all learners, such initiatives, if taken by the institutions, shall always contribute to our mother nature and planet earth in possibly the best and most effective way. Before I end my blog, I just wished to summarize the entire message in a couple of simple sentences. If you have read the blog thoroughly, then the ideas must have been clear to you with a much convincing answer to the question whether environment education can save our planet. Now here are a few takeaway points jotted down. These are nothing but easy suggestions on things to consider and discard while learning about environment sustainability. Take notes of all learnings and lay stress on practical exercises. Follow what you preach. If you’re an educator of environment protection, then make sure you too are following the lessons taught, and helping the society around you. Professional Environmental Science, private tutors, essay writers and bloggers across the world can consider giving up on the use of papers and go online in order to publish their write-ups for a better outcome and more exposure. Conserve electricity, consider holding classes in open grounds, amidst fresh air and sunlight, will actually add up to the real value of environment education. Consider purchasing wooden toys for children instead of the throwaway ones, which are mostly made of plastics. Now that you know about the importance of environment education and whether it has a true credential of saving our planet earth, consider implementing all useful strategies, modes of education and learning in order to make our planet a better place to live in. Author Bio: Patrick Austin works as an online academic expert on behalf of My Assignment Help Company. Apart from that, Patrick is an NGO activist, travel blogger and a yoga teacher who happens to hold weekly classes via interactive videos on various social media forums.